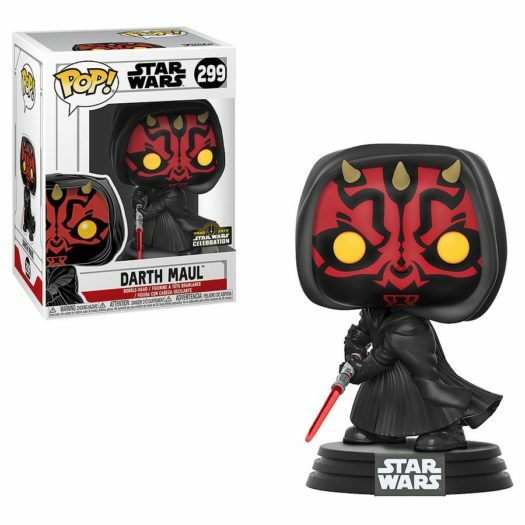 The new Walgreens + Star Wars Celebration Shared Exclusive Darth Maul Pop! Vinyl is now available online at Walgreens.com. The new Star Wars Pop retails for $14.99 each and can be ordered now through the link below. Previous articleNew Walgreens Exclusive Avengers: Endgame Hawkeye Pop! Vinyl Released Online! Next articleNew BoxLunch + Star Wars Celebration Shared Exclusive Boba Fett Pop! Vinyl Now Available Online!